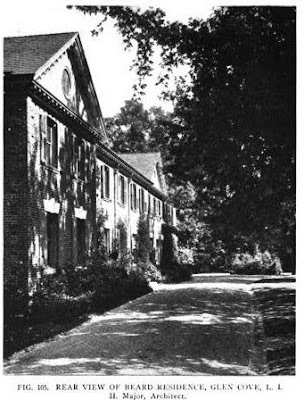 The residence of William Beard, designed by Howard Major c. 1918 in Glen Cove's Red Spring Colony. Beard's father, Col. William H. Beard, was one of the "wealthiest and best-known men in Brooklyn" according to his 1893 obituary. Click HERE to see the Beard residence on google earth. wow - what an ante-bellum beauty. 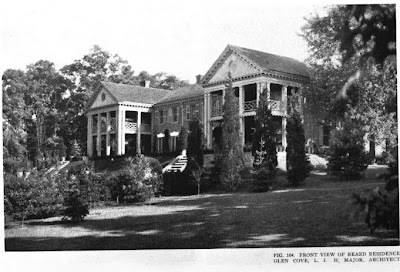 those monster porches and columns - spectacular. looks like something out of "Gone with the Wind". probably no slave cabins in new york, though.